E came home this weekend to surprise my mom for her birthday since she can’t come home during the week… It has truly been a great weekend full of food, family time, and reminiscing about our favorite times with our mom. Our final day together, Sunday, also ushered in the first real fall day where we live. Crisp blue skies, the leaves [finally] starting to change colors, and a welcome drop in temperature… absolute perfection. As we snuggled on the couch reading, posting on Facebook, and talking, I began thinking that summer was definitely over and I started to realize that I was missing all the amazing food we made and ate this summer. I was having an epic case of summer food nostalgia. 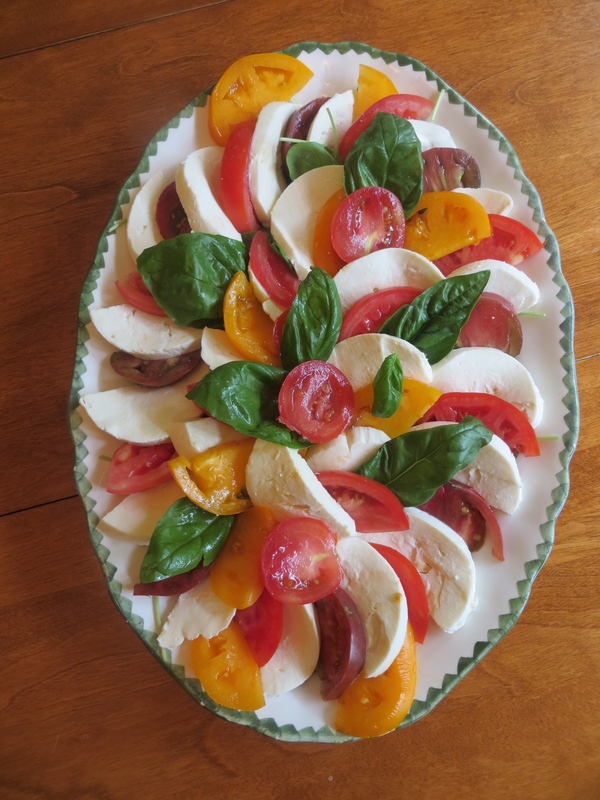 Like heirloom tomato and fresh mozzarella salad. Or Challah French toast topped with peaches and blueberries. And beer… definitely a summertime indulgence. Or just the simple pleasure of picking out tomatoes at the farmer’s market. And who can forget about dessert? Or a refreshing cherry-pomegranate sherbet. As much as I will miss all the wonderful things we made and ate this summer, I look forward to seeing what culinary creations the fall will bring (hello, Thanksgiving!! ).